A new phenomenon that has proved to be a huge success in Manchester is crossing the Pennines for its debut in Sheffield at Union St on 29 January. Speed mate-ing is just like the traditional speed dating, but instead of looking for love, participants are on a mission to forge new friendships. The brainchild of Girl Gang Sheffield, the first speed mate-ing event on 29 January is sold out, but there’s already a second event planned for 2 March. Taking inspirations from teenage sleepovers, dating shows, agony aunts and even Art Attack, speed mate-ing brings people together through silly and inclusive activities that help create authentic connections between new friends quickly. The event started in Manchester in 2017 and proved a huge success. 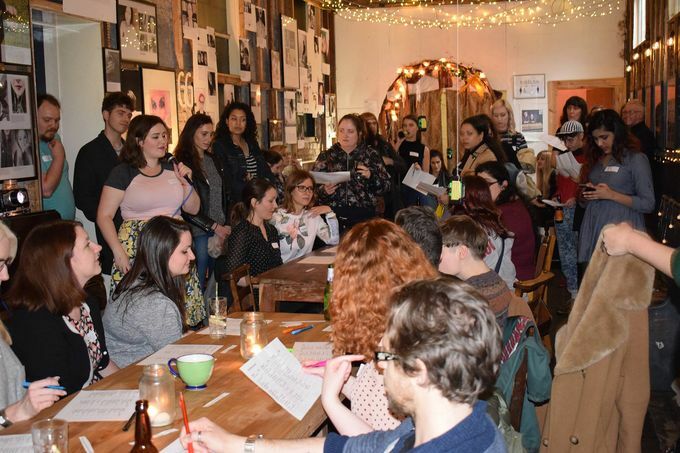 During the evening, speed maters take part in creative challenges, respond to conversational topics, and take part in other ice-breakers, most people attend alone, and leave with numbers and Facebook friend requests to organise a mate date. The sold out debut event will take place at Union St on 29 January, tickets for a second speed mate-ing event on 2 March at the same venue are available to buy on Ticket Tailor. The event will start at 6:30pm with speed mate-ing kicking off at 7pm. Once you’ve made a new friend, explore Sheffield after 5pm with them! See Alive After 5’s guides to shopping, food and drink, and entertainment.